The Supreme Court today sought a response from the Union Government and the Railway Ministry on the allegation that use of sub-standard materials for furnishing interiors of coaches has caused several deaths due to asphyxiation, caused due to inhalation of toxic gases by passengers during fire accidents in trains. The Apex Court was considering a PIL filed by a Delhi-based advocate Abhay Singh who has raised the issue of fire safety in trains. 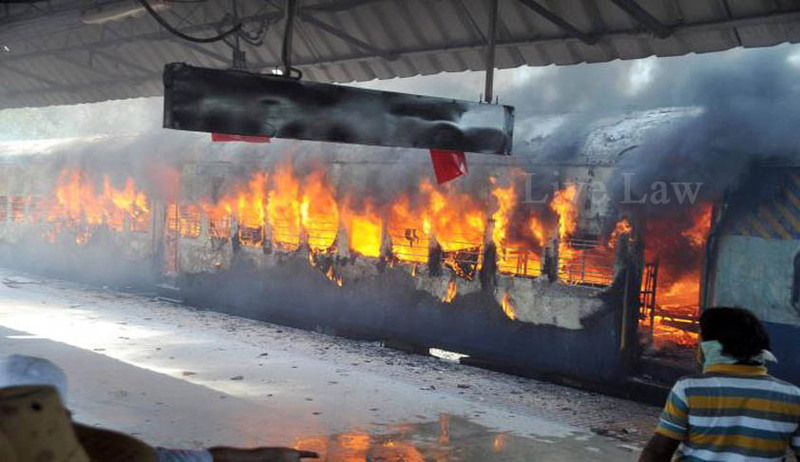 The petitioner cited statistics of recent fire accidents in trains where a large number of passengers lost their lives. During the course of his oral submissions, the petitioner alleged that there is corruption involving “nexus” between the suppliers and officials. “These deaths are caused due to asphyxiation by inhalation of toxic gases, engulfing the Railways’ passenger coaches. This toxicity is caused from poisonous gases released by the inferior and sub-standard quality of the materials used by the Indian Railways in the interior furnishings, which are all around the passengers,” the petitioner claimed, as per Reports. The petitioner inter alia, sought a direction from the Court that sub-standard materials be collected from the railway coaches and be treated by approved laboratory in presence of independent parties and the materials presently used in cushions, cushion covers, curtains, flooring and wood partitioning be banned. The Apex Court while appreciating the petitioner observed that the petitioner had raised a very important issue. The Bench comprising of Chief Justice P. Sathasivam and Justice Ranjan Gogoi has asked the Centre, Railways and its departments to file their replies within four weeks. The Apex Court also issued notices to the Railway departments concerned - Railway Designs and Standards Organisation (RDSO), Rail India Technical and Economic Services (RITES) Ltd, two Rail Coach Factories of Kapurthala in Punjab and Lalganj, Rae Bareli in Uttar Pradesh and Integral Coach Factory, Chennai. The Court said that it would examine the issues involved but declined to pass any order staying the supply of materials for the time being.